The consulate kept his passport? If so, that is a great sign!!! Administrative Processing happens to everyone. It could just be a few days or weeks while they print and affix the visa. Watch for updates and status changes. Did they actually say "approved" or just "thank you"? Give it some time and try to relax. They gave him our pictures back and took his passport and his passport size photos and said thank you and we’ll send you an email with instructions about your visa and gave this. Maybe your husband should have asked them if they have approved the visa? Don't force CO to give you a decision at the end of the interview. CO needs some time to make decision. Instead of asking approve or not, Ask please let me know if you need any additional documents, I will happy to provide you. Then CO will reply you with a smile on his /her face, Sure if we need anything, we will contact you. 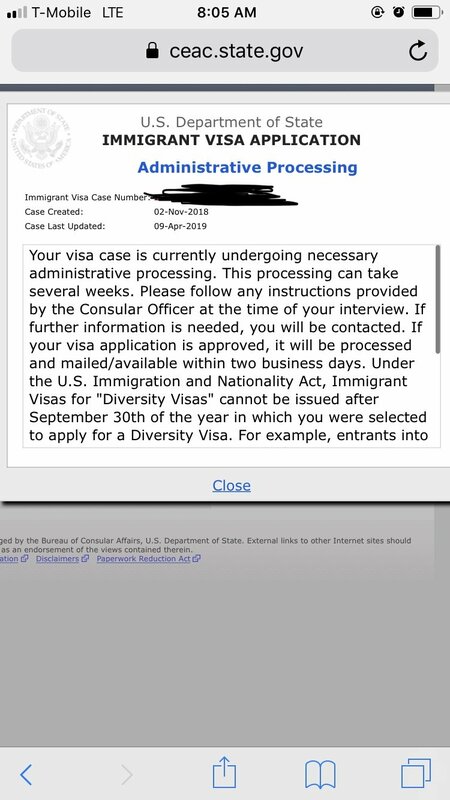 keep checking the status.. it'll soon change from "Immigrant Visa Application" to "Non-Immigrant Visa Application".. once you see that, it'll just be a day or few days until it'll say issued. Good luck!!! If they have kept his passport that is a good sign. Had my interview in Islamabad embassy too. 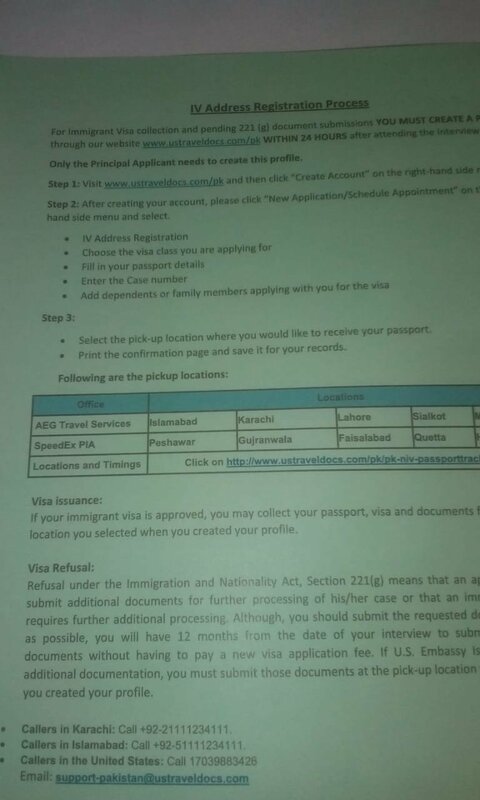 But it was in 2016 they had put me in AP for about two weeks and then issued my visa. Oh they didn’t give u any slip or token? Hopefully he gets his visa soon, he got no token and no 221 slip either but they did give me a sheet on registering for courier service and the lady told him we will email u for updates on ur passport/visa.